AuthorMitaliPerkins: First reviews for TIGER BOY! First reviews for TIGER BOY! The Kolkata-born author visited the remote Sunderbans in the course of her research. She lovingly depicts this beautiful tropical forest in the context of Neel’s efforts to find the cub and his reluctance to leave his familiar world ... the sense of place is strong and the tiger cub’s rescue very satisfying. Pastel illustrations will help readers envision the story. A multicultural title with obvious appeal for animal-loving middle graders. 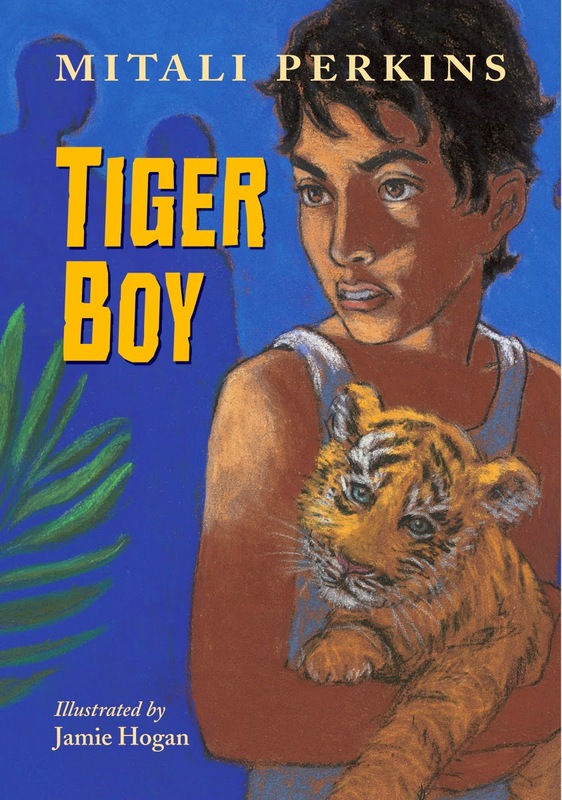 Gr 3-6–Set in the lush Sundarbans natural region of Bengal, this quiet, gripping tale emphasizes the deep but often fragile connection that exists between humans and nature ... Perkins avoids black-and-white characterizations and compassionately illustrates how dire circumstances affect a person’s choices. Young readers will revel in the vivid action and suspense surrounding Neel and his sister Rupa’s quest to locate the tiger cub. Adults will likely praise the novel’s simple and clear narrative, which belies its complexity around issues related to climate change, poor economic conditions, class structure, and gender discrimination."